As with most others my age, we rarely step foot into a wet market. 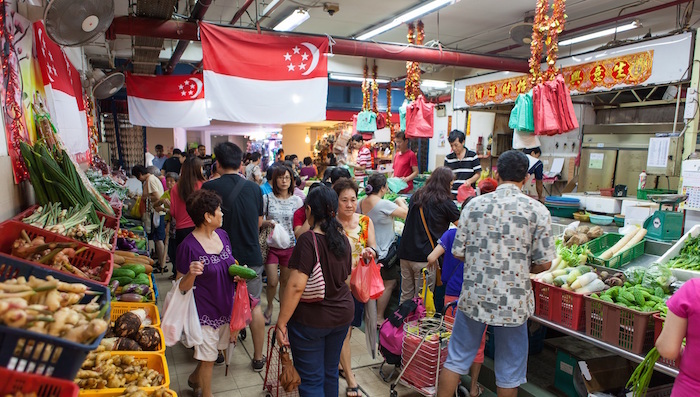 We’re not likely to know where the popular wet markets with the freshest produce in Singapore are. 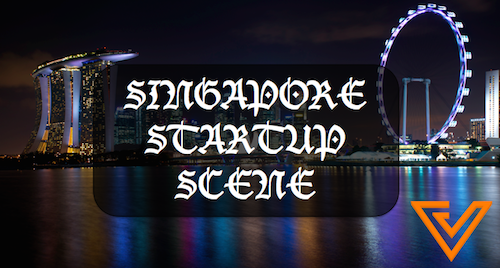 And that is a problem — a problem that Desmond Khoo and his team of four is looking to solve. Since 10 years old, Desmond started helping out at his parents’ vegetable stall in Woodlands. His family owns a total of five wet and dry markets in Singapore, so it’s no surprise that he started spending most of his time understanding the wet market and fresh produce industry. Their group of companies is constantly exploring new location opportunities, but Desmond saw the opportunity to connect with more customers through e-commerce. To his parents, who do not understand Internet businesses, venturing online seemed to be a daunting task that should only be tackled by the younger generations. So Desmond gathered cousin Ferri Ang, wife Tay Yi Ling as well as close friend Edwin, and quietly worked on PurelyFresh, the missing e-commerce piece in their family’s group of companies. And now they are ready to share it with the world. Readers of Vulcan Post would know this: fresh produce delivery in Singapore is probably spearheaded by GoFresh, which was launched in June 2014. Shortly after that, RedMart joined in, offering a selection of fresh produce to their customers. Though late in the game, Desmond is confident that they can win the fresh produce delivery war in Singapore. 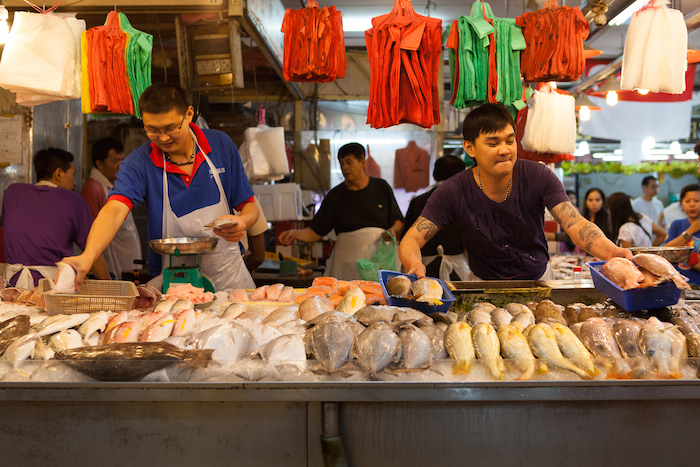 Unlike RedMart, the newly launched PurelyFresh provides customisation services where you can request for the fishmonger to slice your fish or the butcher to mince pork — the same level of experience you would get should you visit the wet market. 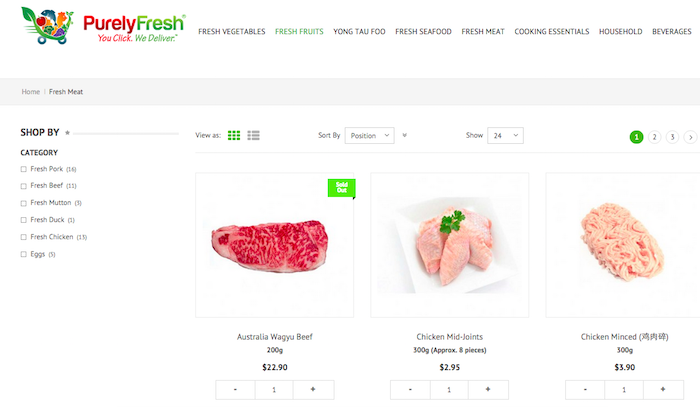 PurelyFresh also allows cash on delivery on top of its online payment options, and get this: they offer a selection of halal certified meats such as beef, mutton and chicken, to cater to their Muslim customers. Perhaps the biggest competitive edge it has over other players is that their group owns wet and dry markets in Sengkang, Punggol, Tampines and Woodlands. This allows them to provide the freshest vegetables, seafood, meats and more straight from their markets to your doorstep. “Think of us as an online wet market and you’ll get what I mean,” Desmond told Vulcan Post confidently. Thanks to this unfair advantage, PurelyFresh can offer their customers a full money back guarantee — a clear sign of confidence from the team towards the fresh produce they deliver to customers. Since its soft launch earlier this year, PurelyFresh has grown to feature over 1,400 products on its platform, and has served over 1,000 customers. It primarily relies on word of mouth to get new customers. Reaching its first 1000 customers was no easy feat, and Desmond has his team to thank. His cousin Ferri spearheaded the transformation of his family’s fledgling wholesale trading company — it earned a yearly revenue of less than S$20,000 then — into one that now generates over S$5 million yearly, all within a span of three years. Handling operations is close friend Edwin, while spouse Yi Ling takes care of the finances of the new e-commerce business. Ending off the interview with us, Desmond shared that they are confident that they will rise among the competition. 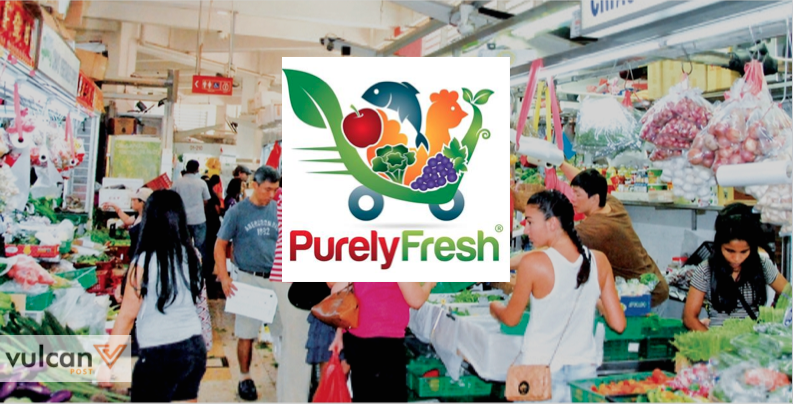 For PurelyFresh, it is the team’s ambition to bring the wet market experience online, so that more people can enjoy fresh produce straight from the wet markets of Singapore.